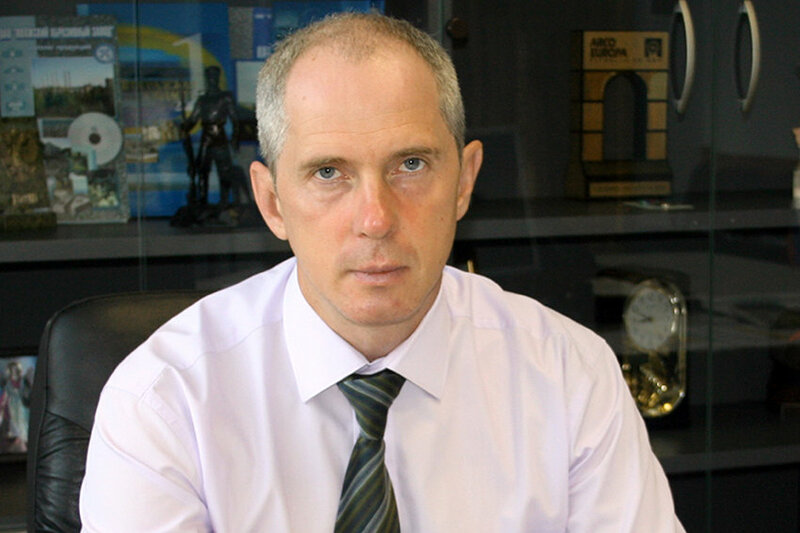 Sergei Kostrov, CEO of Volzhsky Abrasive Works, part of the Indian conglomerate the Murugappa Group, speaks about the company’s collaboration with Indian business. The company is the only manufacturer of silicon carbide in Russia and is the largest in Europe. How do you establish your relationship with your shareholders? SK: Our factory became a part of the Indian industrial group CUMI in 2007 and, since then, we have been working very closely with our Indian colleagues. CUMI is part of the Murugappa Group holding, whose enterprises are engaged in 28 different kinds of businesses and produce a variety of products, from bicycles and fertilizers to abrasive tools and refractory products. CUMI is a public company and its shares are listed on the Singapore Stock Exchange. Entering the Indian industrial group required us to change our approach to the assessment of internal operations. Audits and analysis of the company’s internal operations has for years been conducted by one of the world’s largest auditors, included in the top five audit companies in the world. How was the plant merger with an Indian company done? SK: The process of entering the Indian holding was interesting. Before buying the factory, our CUMI colleagues visited the city of Volzhsky (Volgograd region) on many occasions, to get acquainted with our production, technology and staff. Before deciding to purchase shares, the CUMI executives invited the factory’s top managers to visit the Indian company enterprises producing a wide range of grinding tools, refractory materials and electro-minerals. In India, we visited eight similar plants, were able to assess the technical condition of these enterprises, the level of training and qualification of personnel, we saw ourselves how the technological process is managed. Most importantly, we were convinced we had similar views on business development with our Indian colleagues. Before buying the company, our partners met with the leadership of the Volgograd region. Not only did they talk about their business plans, they also discussed the strategy of enterprise development with the leaders of the field for the next five years. These meetings have become a good tradition. At least once a year the company's shareholders meet with the head of the region, and his deputies, as it is very important for foreign investors to support and understand the regional authorities in implementation of these plans. What products does your plant make, which markets are you targeting? SK: We produce products that are in demand in the industry, such as refractories, silicon carbide and abrasive tools. Being both the largest manufacturer of silicon carbide in Europe and the largest manufacturer of abrasive tool on ceramic bonds in Russia and the CIS, our factory manufactures refractories on nitride bond of silicon carbide, which are widely used in enterprises of ferrous and nonferrous metallurgy. We are also a major player in the abrasive tool market, both in Russia and in the CIS. Nearly 40 percent of our production today is exported to countries in Europe and Asia as well as to the United States. Largely thanks to our shareholders, we have created a special programme for technical development of the plant's products to maximize our presence in both the Russian market and abroad. Initially, our task was to make all the products in our product line interesting in the global market and to make sure that it complied with all the international quality standards. For that, we had to be certified for safety and quality. We have managed to combine the efforts of our employees and the CUMI specialists for training and readjustment of production to create such products that were in demand not only in the local markets of Russia and Europe. We have established a joint group of technicians in different areas, including the development of electro minerals, refractories, and instrumentation business. They include experts from our side, as well as our colleagues from India, who have more experience in some areas. Over the past seven years, our technicians have seen very good results. We have created special youth working groups for an exchange of experiences in production sites in India, and here in the Volgograd region. Once a year, young professionals from different CUMI companies, including a company division in China, gather and organize presentations of innovations that they were able to implement.